Modelled on Mme Chanel’s apartment, designer Peter Marino created the most beautiful environment for a fabulous night of glass-clinking, camera flashing and a chance to get dressed and made-up to the nines. Thandie chose this hot little Chanel number and decided to blow her hair out. We both agreed that a round, smoky eye would work really well with this cute little dress so here’s what I did. Step One. The Perfect Base. Beginning around the nose, using a sponge or brush, blend foundation outwards and into the skin ensuring that there is little to none at the outer edges of the face. Most people have perfect skin in this area, and our rule is, where skin is perfect-leave it! 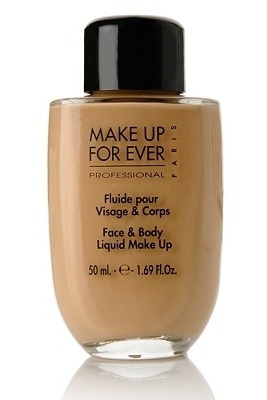 like Make Up Forever’s Face & Body to even out, rather than hide the skin. Under Eye Concealers that we like are Laura Mercier’s Secret Concealer, Bobbi Brown’s Creamy Concealer & Clinique Airbrush if you have fairer skin. Perhaps the most underrated cosmetic product. However fabulous your eye make-up, lipstick and blusher is, however long and lustrous your eyelashes are, if you are dark/have discoloration around the eyes, make-up doesn’t look polished and complete. I’ve found that painting ‘half moons’ around inner eyes followed by a diagonal tick on your under/outer eye corners works wonders for brightening & lifting the yes. Facts: Loose powder is finer than pressed powder. Pressed powder used continually through the day will make skin look drier, accentuate wrinkles and is likely to look cakey, even more so if you have oily skin, or if it’s humid, and are using one that is coloured. Coloured powder mixed with oil equals cream foundation, and you really don’t want a build up of that. There are so many reasons to use loose over pressed, though pressed is good for the handbag if you are out on the town and will only be touching up a couple of times. Our favourites are Jurlique Rose Scented Silk Finishing Powder though if your skin is darker than Thandie’s ( I use a mix of Jurlique & Bobbi on Thandie throughout the day when we’re on set), then Bobbi Brown‘s wide selection of colours are fabulous. Thandie popped her Chanel Blotting Papers in her handbag on this occasion. I come across a lot of women who use and like make-up but don’t use blush. When I try out the right one for them, however, they are all instantly converted. There is so much to choose from; matte, pearly, luminising, powder, cream-and more. For me they all have their place, it depends on your skin, your style and the environment (humid/dry) to time of day-and even work or play. 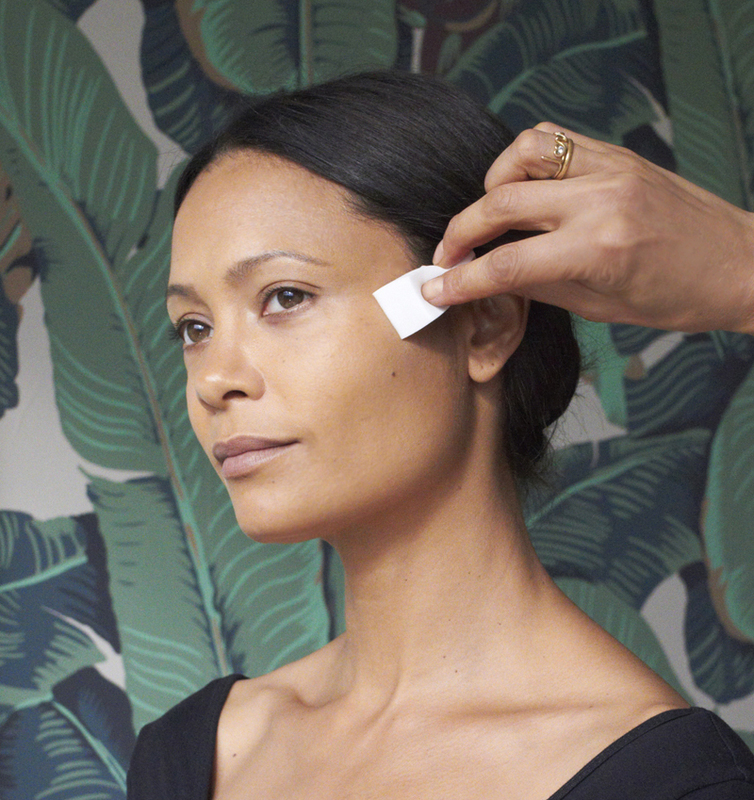 On the whole , once I’ve powdered the T Zone I tend to err towards a dewy finish on the cheeks, and this is what I did on Thandie for this event. I used Becca‘s Beach Tint in Papaya with a brush. I like using cream blush with a brush as it goes on more smoothly. When it comes to eyeshadow there are three magic words. Blend, blend and blend. This is how all make-up artists achieve soft, smoky eyes with no hard edges. Being a child of the 70’s and 80’s helped, blending was King (or should I say Queen? ), plus there was no photoshop then so what you saw in the studio, was kind of what you saw in print. I use a selection of eyeshadow brushes, my favourites are by Mac, Trish McEvoy and Laura Mercier but my secret ‘weapon’ is my selection of art store brushes for the contour though I’ve found similar at Charles Fox in London. 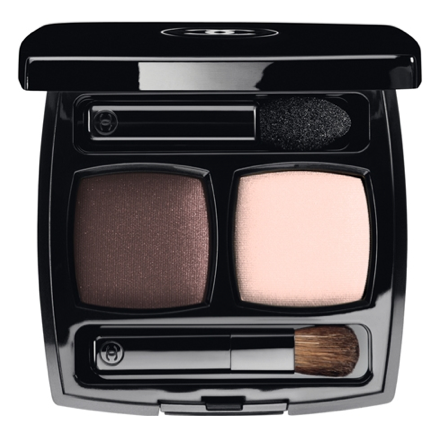 I used the chocolate shade in Chanel’s Taupe Delicat all around Thandie’s eyes in a Biba style, lovely and round. (right), it’s really soft and easy to blend with fingertips or a brush though Chanel’s Brown Eye Pencil are also great. Good eye pencils & mascaras are an opportunity to be economical as the expensive versions are not necessarily better. eyes look prettier (it creates ‘lift‘) when they are darker at the top than underneath. It’s also more modern and flattering to leave brows as natural as possible, no dark, hard lines from pencil, or overly arched plucking or threading, this can give a severe, rather than soft expression to the face. Thandie & I love the Suqqu liquid eyebrow liner in Moss Green to subtly feather her eyebrows in and fill in with Anastasia’s eyebrow shadow. upright, look down with eyes only onto a hand-held mirror to apply to the top lashes. This ensures that your mascara won’t get on your skin plus it enables you to thicken, lengthen and separate the product from root to tip. For bottom eyelashes, wait until the top lashes have dried then keep head upright & lift the mirror above your eyeline and look up into it. This lifts lower lashes away from the skin and discourages you making frown lines on your forehead! Normally Thandie loves Estee Lauder Double Wear & me, Rimmel Lash Accelerator but I wanted extra volume for this look so I used Chanel’s Le Volume de Mascara. We love the Rouge Coco Shine range by Chanel, we got sent the limited edition Pygmalion shade but Rebelle is very similar. You can apply these highly pigmented-yet sheer lip colours straight from the bullet which is why I’ve been using them a lot on the red carpet recently as actresses can take them in their teeny handbags and do their touch-ups easily. Thandie Newton’s face, so beautiful. This must be the best mix of the face, the brains and the makeup in a blog-magazine. No one can look so beautifully and naturally made-up as Thandie. Thanks for sharing the tips! Elegant look. Simplicity is key. I absolutely adore her look!